Kevin Joseph Kelly IS the biggest novelty item ever erected. Readers who enjoy local theater know exactly what I’m talking about. Long a favorite on local stages for his big voice, bigger stage presence, and self-described big gay magic, Kelly is more than funny. 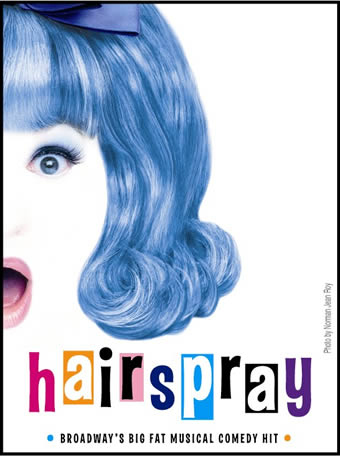 And that’s why you should go to see Hairspray at Beck Center. Kelly returns to the Beck stage for the first time in five years to star in the key role of Edna Turnblad, Mom of the fat girl Tracy Turnblad, who just wants to dance on TV with the nicest kids in town—no matter whether they’re black or white. Remember the original John Waters film of the same name from 1988? That one stared the drag phenomenon Divine as Edna Turnblad. Kevin Kelly fills the big shoes well. Actually he’s just one reason to see Hairspray at Beck. It’s a solid production with deep ranks of talent: high energy and strong voices—even if the dancing isn’t always what you might expect from a show about the racial integration of a TV dance show. Meanwhile, stepping out doors, I had just about too much fun with the debut of the Water Moose portable sprinkler park, which you can see in action several ways: Dan Morgan shot this video. I cranked it up loud so I could hear the soundtrack—a calming rhythm of sprinklers going “tch tch tch tch” while the kids squeal their delight. My favorite moments are where the kids drop any pretense of decorum and shove their butts into the spray—especially when they go for the geyser in the middle, which shoots straight up like a bidet. Thomas Mulready interviewed me about the thing for Cool Cleveland, and while I am not nearly as much fon to watch and hear as the kids, I provide it for you here. Finally, Jim O’Bryan shot these photos for the Lakewood Observer. I guess they accurately portray how I felt about the whole thing. Finally, bars, beer, bicycles, athletic competition, and a great neighborhood all come together this weekend at the Lakewood Criterium, which gave me the opportunity to produce my first ever video report for Cool Cleveland. It’s free for spectators, so get thee to Lakewood’s West End Saturday afternoon, where you’ll find plenty of partiers and high-speed action on two wheels. This is not appropriate attire for the Lakewood Streetwalk. Note the fuzzy (albeit very attractive) wool hat. Note, too, the long sleeves on that sweater. No, this is not appropriate for a summer street festival at all. You should wear your swimsuit. Lakewood Alive’s Street Walk is this Saturday, July 23. It’ll be a mouth-to-the-fire-hose experience this weekend in Lakewood, as the city shuts down Detroit Avenue from 4 to 7 p.m. for about ten blocks of summer fun. I mean that part about the fire hose in a literal kind of way. Sure, the annual Street Walk means there will be no cars on Detroit in the heart of Lakewood. And dozens of organizations will come out to play. You can ride your bike down, or just walk. You’ll see. The Lakewood Outdoor Basketball Committee will bring their hoops, and Beck Center for the Arts will set up an acre or so of sidewalk chalk drawing, and the Lakewood Skaters Association will bring their skateboards. You should bring yours too, and join in the fun. But I’m here to tell you to wear your swim suit. 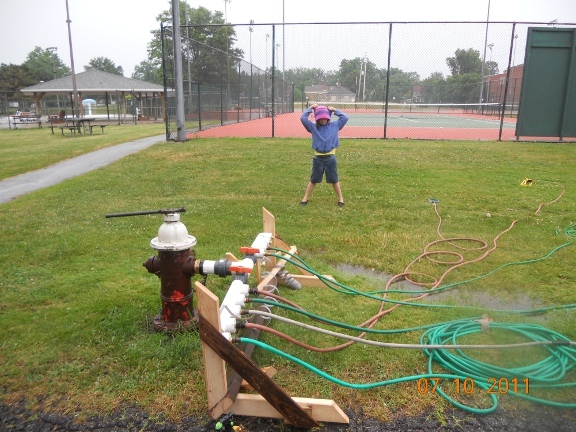 That’s because Street Walk 2011 gives me the pleasure of unveiling an exotic convolution of PVC and brass plumbing that will channel the full force and excitement of a Lakewood fire hydrant into a portable sprinkler park. I made it myself. 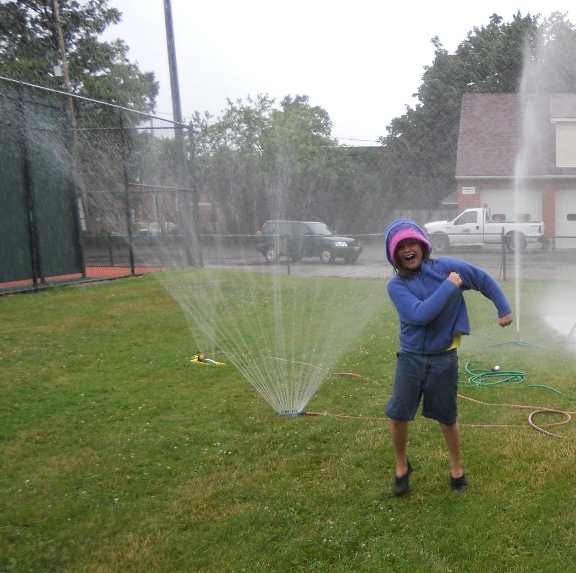 You heard it: a sprinkler park on Detroit Avenue. Be there. Hold on to your hat . . . The seed of the idea was planted in a meeting, when Lakewood Alive’s Shannon Strachan shared a story of how some folks had cooled runners during a race by running garden hoses from their houses to sprinklers along the route. And so the scheming began. After a disappointing trial using a standard-issue fire hydrant attachment known as a “reducer,” we determined that we were not interested in “reducing” the flow of water at all: We wanted fire hose volume. We wanted enough aquatic force to shoot a stream from Birdtown to Rocky River, or maybe even Westlake. So I began to visit plumbing and industrial supply shops. Weeks later, the Water Moose was born. My friend Jamie gets credit for the name. This irrigation system, he noted, seems to have antlers. Beta testing was highly successful. With the cooperation of Lakewood Mayor Mike Summers and parks department unit manager Kurt Matej, my testing crew met at Lakewood Park. The testing crew consisted of me and my fearless daughter Grace, with Mr. Matej for adult supervision. I should note that I’ve also had significant support from Lakewood Hardware (hoses, sprinklers, and a general appreciation for this kind of rigged-up invention) and the City of Lakewood (permission, technical support) and Lakewood Alive (financial assistance: fittings and valves fit for fire hydrants don’t come cheap). We connected the pipes to the fire hydrant. We hooked up pipes to the hoses, and the hoses to the sprinklers. And we opened up a couple of two–inch, full-port ball valves. I am not going to tell you anything more about the experience, except to say that running a fire hydrant’s worth of water through lawn sprinklers can have a stimulating effect on a summer afternoon. You have got to see this for yourself. Lakewood Alive StreetWalk is Saturday, July 23, 2011 from 4 p.m. to 7 p.m. on Detroit Avenue in Downtown Lakewood. The Water Moose Portable Sprinkler Park will blast the heat right off of anyone close to the intersection of Detroit and Andrews. That’s what the volunteers who serve on Lakewood’s Architectural Board of Review will need as The McDonalds Corporation marches along with its plan to relocate from Sloane Avenue to the Detroit Avenue address where the Detroit Twin Theater now stands. As you’ve read here before, the city was caught flat-footed when the company surfaced with the intent of buying the theater and demolishing it to build a new fast food outlet. There was nothing anyone could do. No municipal power to stand in the way of the business transaction. No investor has surfaced with an alternate plan for the building and a competing bid for purchase. I say flat footed because the city has built a reputation and a brand on the idea of being a pedestrian oriented place, and yet is powerless to preserve some of the qualities that make it attractive. Having a main street scaled for walking is our inheritance from the streetcar era. We’ve recognized that its pedestrian friendly layout and early twentieth century architecture are the city’s strongest selling point. Crocker Park is faking it. Lakewood has the real deal. The architectural board of review are the volunteers who preserve that selling point. They do it in the best interest of the city—the economic best interest. Because Lakewood’s walkable streets can draw people here. It’s a desirable place to live in part because it’s a nice place to walk. That’s worth money. It’s not a resource to be squandered. The ABR—the same guys who say no to front porch enclosures to preserve the appeal of our residential streets—they also preserve our walkable commercial streets as an economic asset. They are on the front line as McDonalds stomps along with plans more appropriate for highway exits than an urban main street. One of four Mcdonalds representatives takes his tag team turn. And if you care about how Lakewood looks and feels—if you like to walk or ride your bike in the city, if you think your old house is part of something larger—a community —if you’re one of those people who cares, then you owe these guys a debt of gratitude, especially after their work last week, when the fast food giant brought concepts for the layout of the property. 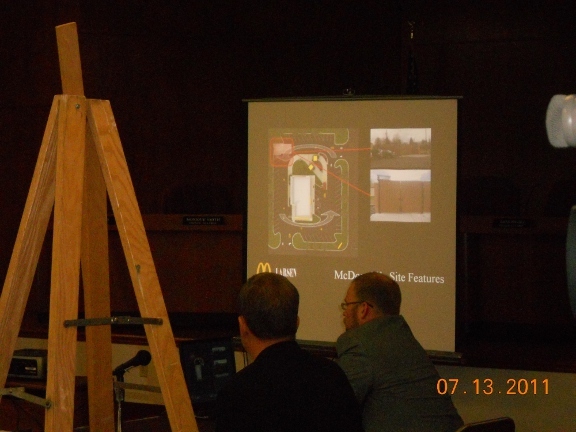 Last week the ABR listened and responded as four officials from McDonalds, including local architect Jim Larsen, showed where they’d put the drive through, how much space they’d allocate for the building after most of the property’s square footage was covered with traffic lanes and parking, and a few other details of their project so far. They talked about light fixtures. McDonalds wants you to enter from Detroit and drive around the back of the building. The Drive Thru window would be on the east side. Traffic would exit to Woodward. As presented, it would dump out right in front of Woodward’s stop sign at Detroit Avenue. 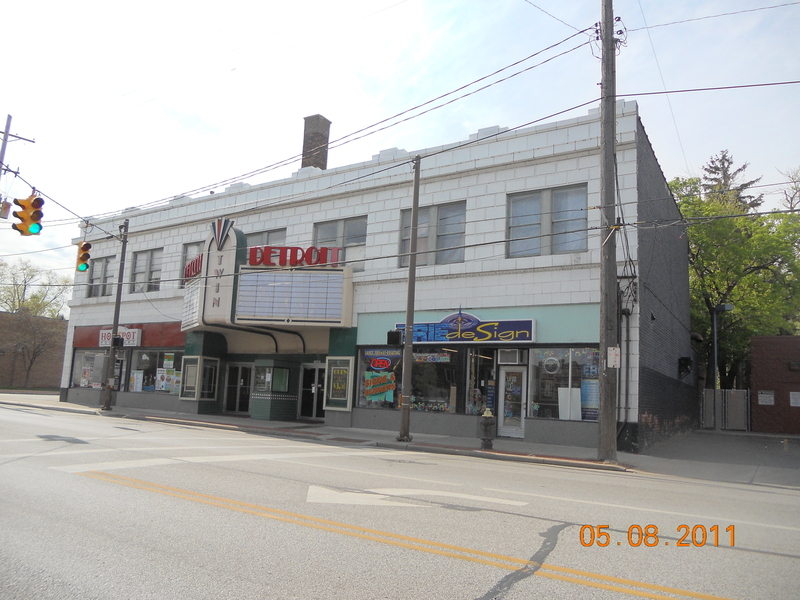 They want to set the building back from the curb, like buildings in North Olmsted. Most of the property –guestimating from the pictures, I’d say in the realm of 80 percent–would be covered with asphalt. The building is a fairly small part of this drive-through circulation system. Their nod to the city’s pedestrian-oriented streetscape begins with some of those dining tables out front, and ends with a bike rack. Courage. Give the ARB courage. It’s not going to be a short conversation about how the fast food giant stomps its footprint on Detroit Avenue. They are going to have to raise their objections over and over again. Members of the ABR talked about how the drive thru and its exit to Woodward would almost certainly cause traffic to back up both in the street and in their parking lot. They pointed out the small size of the building footprint McDonalds showed in its plans, and spoke of the loss of the volume of the building that houses the theatre. They said big buildings built right up to the sidewalk give Detroit the feel of a city. McDonalds, as presented here and in most of its 31,000 other places around the world, does not. The ABR pointed to the Theater’s position on the sidewalk, and noted McDonalds plan didn’t follow that line. They talked about how another national chains moving a stores from one lakewood location to demolish another had adapted its original proposal to fit the city better. Sure, CVS will knock down a church with its copper-green steeple visible from a mile down Detroit. But what they’ll build in its place isn’t a complete snub of the local style. Thank the ABR for that. The volunteers reminded the McDonalds reps of other locations around the country where the company dramatically varied from its cookie cutter plans to build something appropriate for the neighborhood. Why couldn’t they do that here? Was the implied question. Envision a whole lot less than this. So if you know any of the members of the Architecectural Board of Review –Michael Fleenor, Jeffery Foster, Michael Molinski, Carl Orban, or John Waddell—thank them for their service, and pat them on the back for standing up on behalf of a good looking, great walking city. 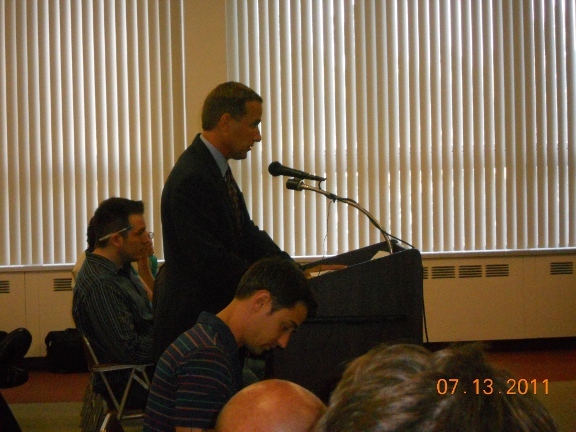 They did a great job outlining Lakewood’s concerns the other night. They may not be able to save the streetcar-era building, but maybe they can get something that doesn’t jam up traffic at Woodward and Detroit, something that preserves the architectural lines of the street, something that doesn’t look like nowheresville, something not quite so McCheesey. “Do we all have to talk about Bruckner?” Cleveland Orchestra principal Clarinetist Franklin Cohen asked. He was sitting beneath the concert stage at Blossom Music Center with colleagues before last week’s concert, talking about upcoming performances. He and the three other players with him will step out from their section chairs to perform concerto solos later this summer. Bruckner was on everyone’s mind not only because his 9th symphony was on that evening’s program, but because the orchestra will perform no less than four Bruckner symphonies this week during a residency at the Lincoln Center in New York. 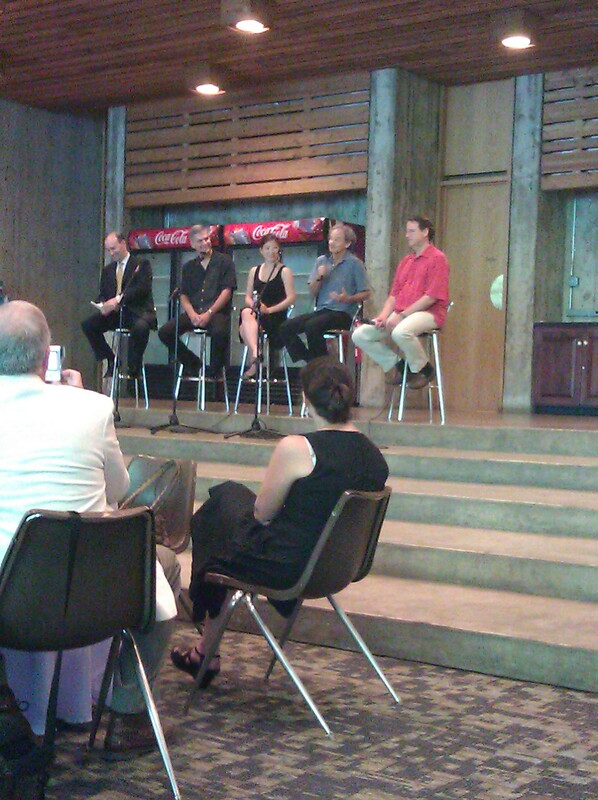 The musicians were speaking with bloggers and other members of the media. Someone had asked the musicians to compare the demands of playing a concerto solo with the challenge of blending with the rest of the ensemble to make Bruckner’s mountains of lush sound. And from his seat at the front of the room, Cohen could look out over the audience’s heads, through the wall of windows at the Cuyahoga Valley Landscape. And he could see trees. “[The Bruckner symphonies] are a very large cooperative of sound,” Cohen continued. Every little leaf matters. Audience members could think of themselves as leaves, too, scattered across the lawn. From my perspective, this tree could use a few more leaves. If societies are remembered for their cultural achievement, symphony orchestras like this one are certainly a high water mark. What all the big orchestras have these days–100 or so musicians paid a good, full time wage — is a phenomenon of only the last half-century or so. Prior to that, these were not full time jobs. They didn’t pay so well. There was more turnover. The fact that musicians are now paid to devote full time to the craft , and that they now have stability and security certainly improves the quality and cohesion of their play. If you consider all of history, we live at a simply incredible time and place for listening to classical music. But as anyone who pays attention to such things knows, classical music is fighting for its life in the 21st century. Or, maybe more accurately, for an audience. It’s apparently not enough for an orchestra to be magnificent: people, it seems, have other things to do. The orchestra has been proactive at audience building, especially in recent seasons. You want to expose your kids to culture? They get in free at Blossom. Not just the little kids, either: we’re talking up to age 17. Free. 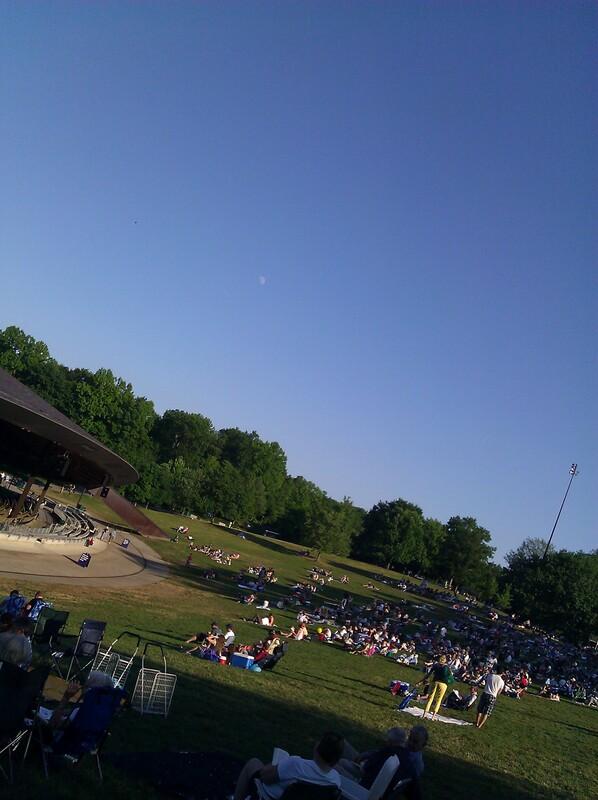 To sit in the grass in the midst of a national park while one of the world’s finest orchestras blazes away. 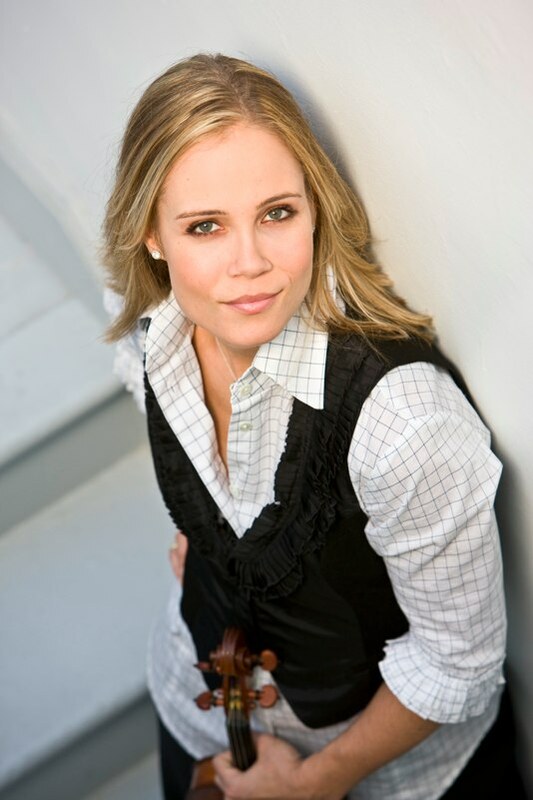 But on a stunning July evening with the amazing Leila Josefowicz playing a driving violin concerto by Adams, and the orchestra playing Bruckner’s Ninth Symphony , I wonder not what more the orchestra can do, but what is going on in Northeast Ohio minds that keeps this place from being packed on nights like this? The good news is the season is young, and you’ve still got plenty of time to plan your picnic and organize your posse to check out one of the upcoming concerts. Here are a few snatches of what Franklin Cohen and his colleagues had to say about their upcoming solo roles. Mr. Cohen, who performs the Weber Concerto No. 2 August 28, was asked how he approaches this work–which he’s played a few times before– differently as he gets older. Ms. Lee, who will performs the Stravinsky Concerto in the orchestra pit when the Joffrey Ballet is up on the stage August 20 and 21 (assuming the company solves its labor dispute), was asked about the challenges of preparing to perform a piece for the first time ever . The orchestra doesn’t perform a lot of Bach (or other early music for that matter), and so Rose was asked how the recent surge of interest in early music performance style will influence his preparation for the Bach Violin Concerto No. 1, which he’ll perform August 27. “I haven’t played it in a long time,” Rose said. “This is a piece that violinists often learn in their earlier years, and then come back to it later.” Theoretically with the wisdom of their age, or some otherwise evolved perspective. Rose added that in preparing for the concert he had pulled up a multitude of recordings of the same piece on I-Tunes—some from years ago, and some from the last 25 years. The influence of early performance practice on the later performances was “remarkable,” he said. Yancich has a remarkable family story. Not only are he and his little brother Mark both timpanists, and not only are they both principals in big city orchestras, but Paul once held the same post his brother now occupies with the Atlanta Symphony. Together they commissioned a fairly unusual thing from composer James Oliverio–a concerto for two timpanists. They’ll perform the work, “Dynasty: Double Concerto for Timpani”, with the orchestra September 10, 2011. Just like the audience relies on the audience to be there. 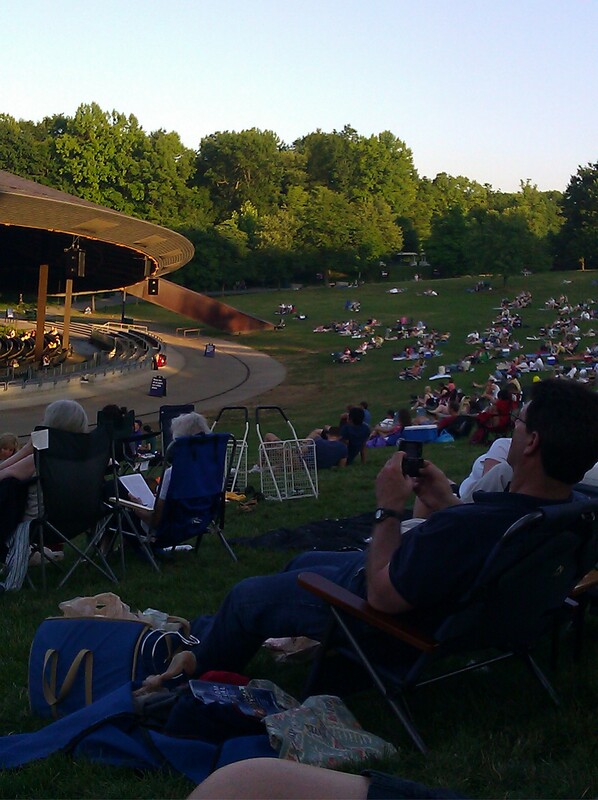 Tickets for the orchestra’s summer performances at Blossom are available at http://www.clevelandorchestra.com/. A reputable member of the community once described Lakewood’s Fourth of July parade as “Hooterville on Wheels.” It ranks with Halloween as one of my favorite days in Lakewood. It’s when the neighbors come out to play together. We dress up in goofy costumes and do goofy things. And we pass out candy. Perhaps you’ve seen bucket drummers on Youtube, or on a trip to New York. They were probably highly skilled, and wowed you with the range of sounds they were able to produce with five-gallon plastic buckets. The players were probably real drummers. They probably practiced. 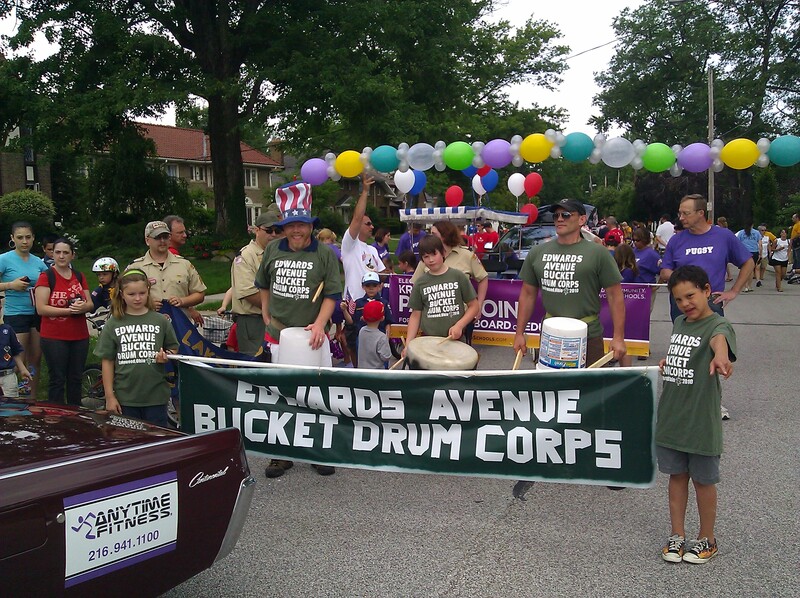 The Edwards Avenue Bucket Drum Corps is not like that. We did have a couple of practices, one of which was interrupted by police responding to a complaint of noise in the neighborhood. But we are more accurately described as “a loose collection of DIY bangers using buckets and other recycled containers for allegedly musical purposes.” That’s what the parade officials said at the reviewing stand. That’s the blurb I sent them. This is an appropriate time for a shout out to the Lakeland Avenue Kazoo Band, which served as EABDC’s inspiration. If you haven’t been in Lakewood for a while, you might not remember the strolling kazooers of Lakeland Avenue, who appeared annually in the Fourth of July parade, blowing patriotic tunes horribly out their kazoos as they strode the parade route in a melange of faded orange T-shirts. They were star-spangled spectacular, and that’s no lie. Somebody ought to start that up again. Are you with me, Lakeland? But much as I respect the zany kazoo-ers of Lakeland, Avenue, I can’t help but note that bucket drums are louder. Much louder. To wit: No one ever called the police on a kazoo band practice. You can look that up. Lakewood’s other great Fourth of July tradition is the fireworks. In my somehat biased perception, what makes the Lakewood fireworks great is the fact that the city has 52,000 people, and very little parking. In fact, parking is especially scarce near the park, where the fireworks are launched. All you’ve got there are the tony streets near the lake. No shopping mall. No McDonald’s parking lot. So most of the tens-of-thousands of people come to the fireworks on foot, or on their bikes. It’s a great crowd experience–not just being there, but the coming and going, too. It was a great night, with beautiful weather. A couple of folks were launching those miniature hot-air balloons–candle powered devices that glow as they rise into the sky until their fuel runs out. My son, who has a keen interest in things that burn and explode, tells me these things are known as ‘Chinese Lanterns.” Wikipedia attributes them to Asian cultures, but calls them “Sky Lanterns.” http://en.wikipedia.org/wiki/Sky_lantern. 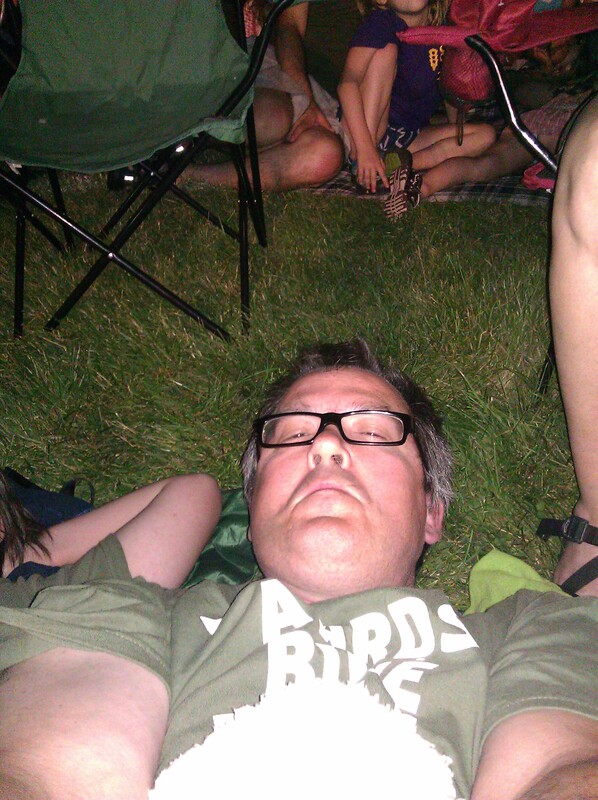 Later, when the fireworks got going, I tried to get a picture of myself laying on the blanket between my kids, looking up at the rockets’ red glare. I post it here in support of the professional photographers of the world: good photography is not just a matter of pointing your cell phone. Even if you have a fancy cell phone, that doesn’t make you a pro. You need any more proof than this? 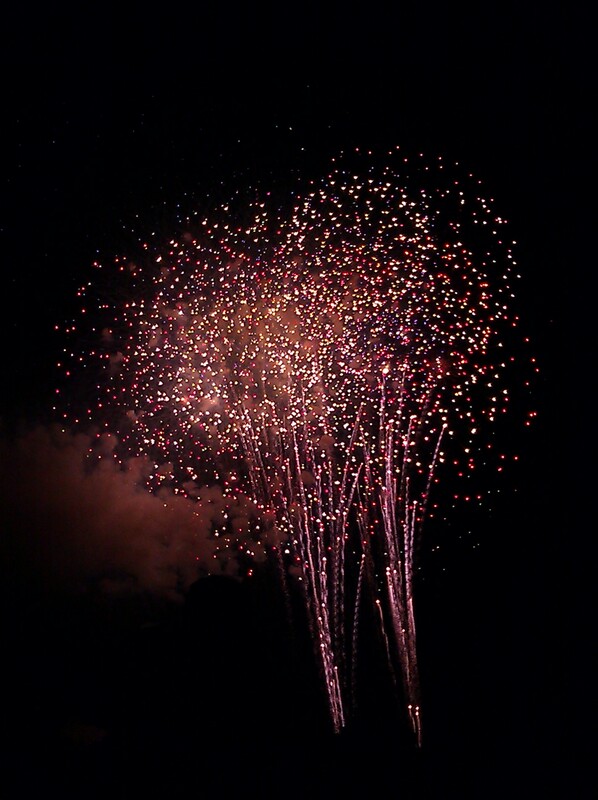 I was a little more successful turning the phone around to snap pics of the fireworks themselves. I know pictures of fireworks are commonplace, and that they never do justice to the experience–lacking, as they do, both the sound and the sulphur smell, not to mention the fact that the pictures are usually much smaller than the real thing. But hey, I was born when only NASA and maybe MIT had computers. Now anyone with a cell phone can capture pictures and send them around the world by pushing a few buttons. It doesn’t make you a pro, but still. Ain’t technology something?